As somebody who is prone to Seasonal Affective Disorder and generally despise the darkness that the winter months bring, I love my Lumie Alarm Clock. I've had this for a number of years now and still love it as much as I did when it was brand new. Still skeptical about whether this will wake me up every morning, I use this in conjunction with my FitBit silent alarm and my iPhone alarm - not because this won’t work (this does!) but because I’m always paranoid I’ll miss my alarm and be late for work. I’ll always set this alarm to go light five minutes before my other alarms, and if I’m not awake as a result of the gradual light of this, I am much more awake (and less grumpy/ disrupted) by the time my other alarms go of. More often than not, I have chance to turn my other alarms off before they have chance to wake me. I love both aspects of this - the sunrise and sunset. I hate going from a harsh room/ lamp light to darkness to get to sleep, so the fact that the light fades gradually over 30 minutes means I can get to sleep in a much more relaxing way and can be reading before bed as the light fades. This does have the option to add an audio alarm but I’ve never felt the need to switch this on. I always feel refreshed when using this as my alarm, and if I sleep away from home, I always miss not having my Lumie lamp before going to sleep and to wake up to in the morning. Have you tried Lumie's Alarm Clock? 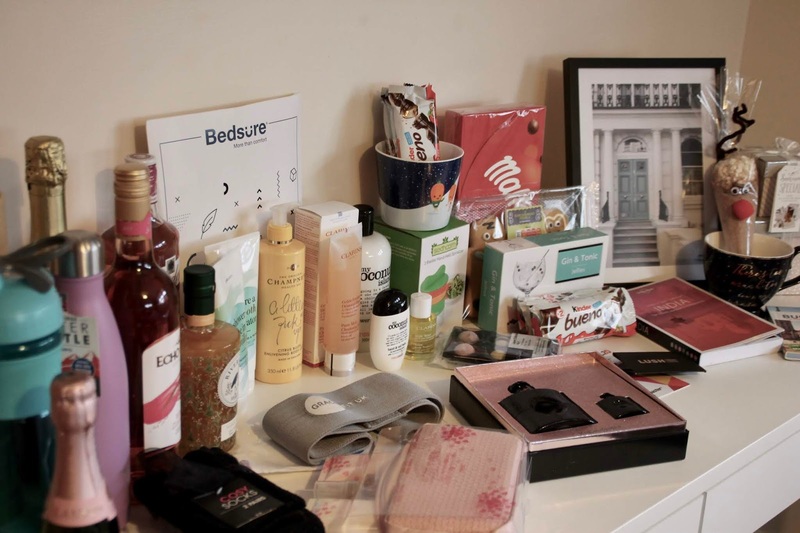 It seems that everyone and their dog has jumped on the Marie Kondo bandwagon following her latest Netflix series, but ever since reading her book (would highly recommend) a couple of years ago, I’ve been inspired to truly surround myself by items that bring me joy, that I use and love, and clear myself of items that aren’t being used and loved as much as they should. 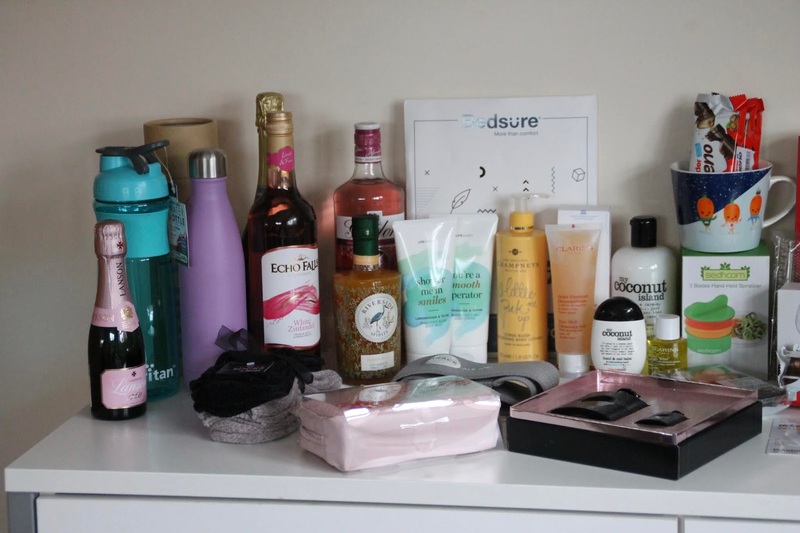 As part of my ongoing mission to downsize the items I own and live in a more minimalist way, I recently went through my makeup collection to purge the items from my collection that, in the words of Marie Kondo, do not ‘spark joy’. I’ll openly admit that I keep makeup far longer than I should, but I am on an ongoing mission to only buy new makeup items when I have used the same item up. This way I can get the most out of my collection and not let items go to waste. 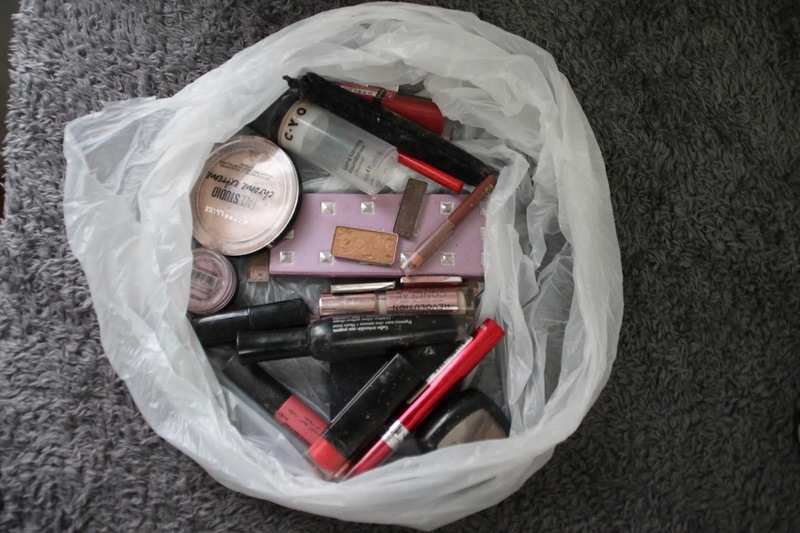 A lot of the items in my ‘makeup trash’ were on their last legs. Makeup had dried out or hadn’t been worn for a long time. In particular, I’d been hoarding a number of red/raspberry shade lipsticks that didn’t suit me and so went unused in my Muji drawers. Following a reality check during my declutter, what I am left with, in my makeup collection, are 37 items that I love to use and are wearable and versatile. 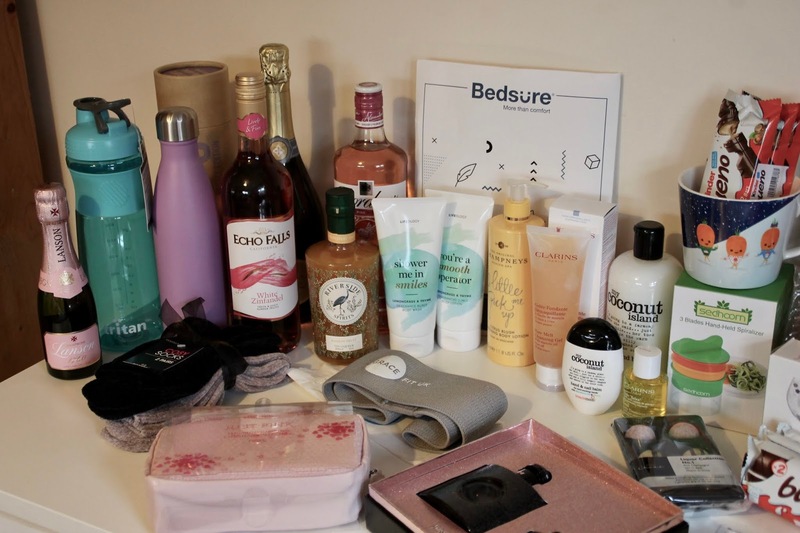 This includes 3x Ted Baker palettes, 4 x eyeshadow palettes (Stila, NYX, Revolution & Profusion), 1 x NYX highlighter palette (review) , 2 x Blushers, 5 x eyeshadows, 1 x Eyeshadow Primer, 1 x Foundation, 1 x Concealer, 1 x Powder, 1 x Mascara, 1 x Brow Tint, 10 x Lipsticks, 5 x Lipglosses and a lip balm. 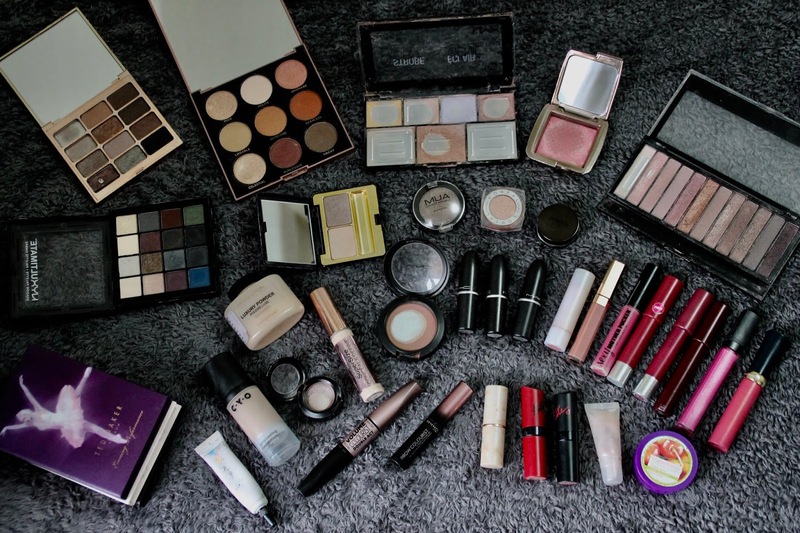 For some people, my makeup collection may still be deemed as excessive, however, I am working to ensure that all of the items in my collection are used regularly by rotating the items in my makeup bag regularly. From this, I hope to continue to downsize my collection, not by throwing the items away but continuing to embark on my project pan. 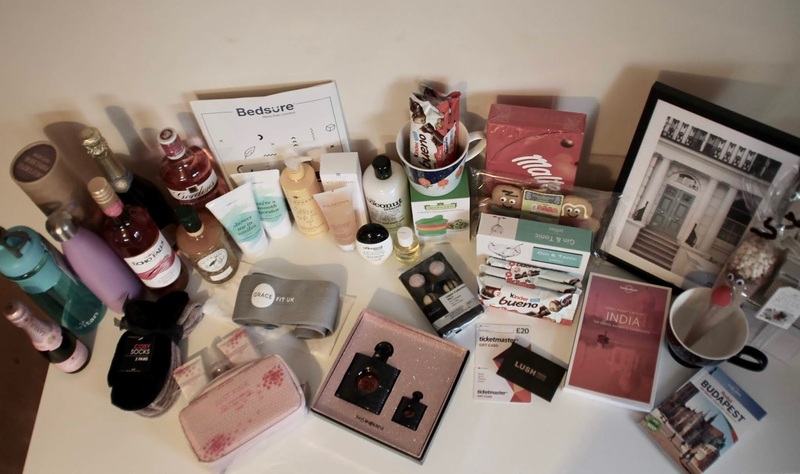 In particular, in 2019 I hope to use up my MAC Harmony Blusher, MAC Satin Taupe, Hourglass Ambient Lighting Blush, NYX Highlighter Palette and use up at least 1 lipstick or lipgloss. Have you jumped on the Kon Mari method bandwagon recently? 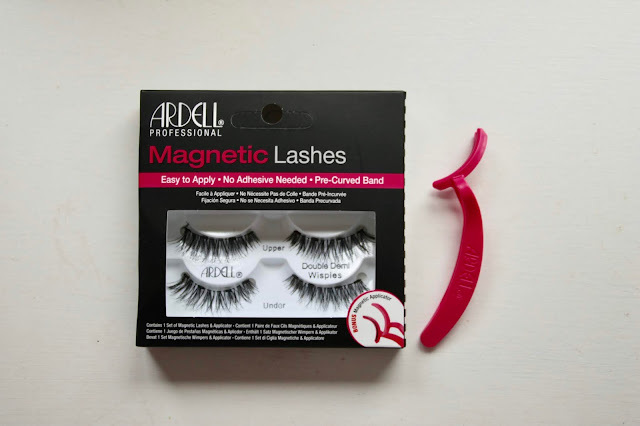 I’m very much a beginner when it comes to false lashes and usually rely on a willing friend to apply them for me, so the idea of skipping the glue in favour of magnets really appealed to me when I was given the chance to try the Ardell Magnetic Lashes Double Demi Wispies* to save me the hassle of using glue. Unfortunately, instead of making application easier, this made application even more fiddly. Application of these magnetic lashes involves placing two sets of lashes onto the magnetic applicator to sandwich your natural lashes in between the two to allow the magnets to fasten the lashes together. This, in itself, is a very fiddly process. 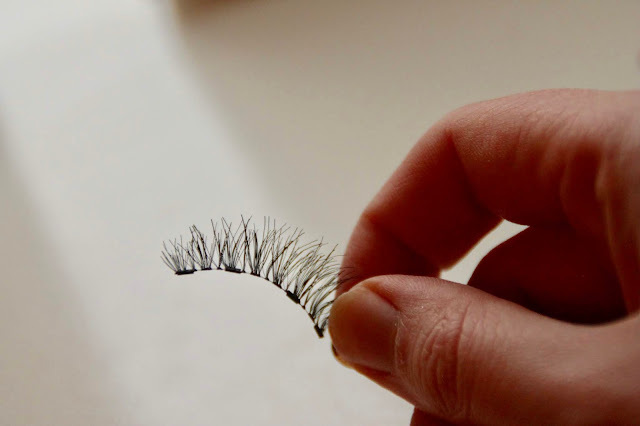 I found that the lashes would either join together before I had chance to place them on my natural lashes, or that my view was restricted by the applicator. 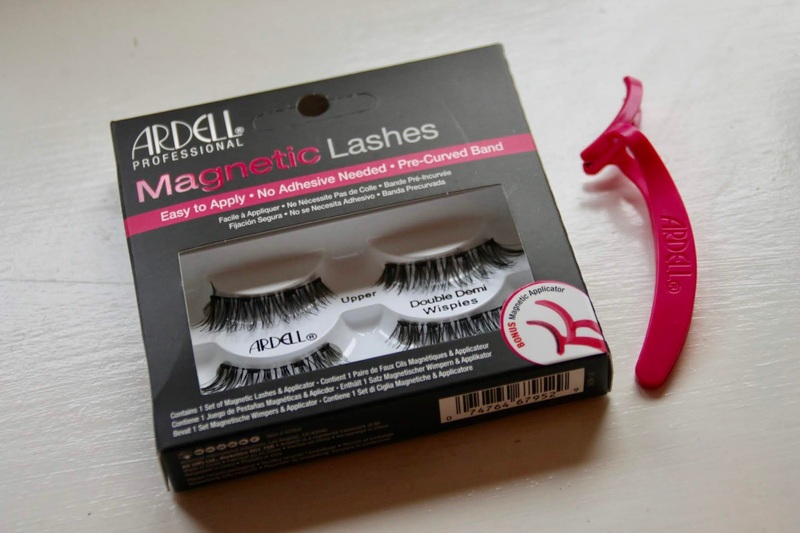 In the end, I think I found it easier to apply these with my eyes open, but I found myself either trapping my eyelids between the magnets or having the lashes sit too far away from lash line. Even when I was successful in applying these, they didn’t feel secure on my lashes and I doubted their longevity. 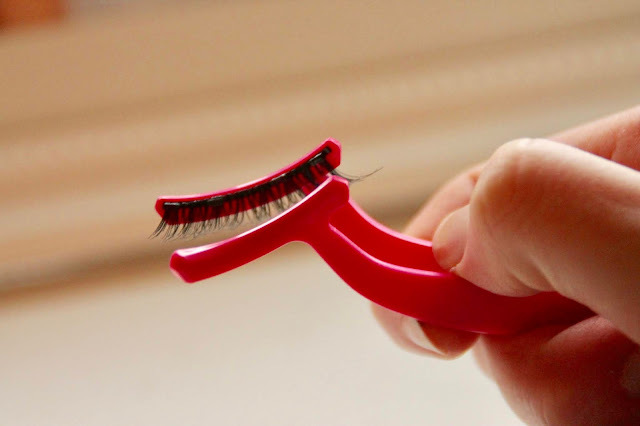 While the curve of the lashes band does match up to your natural lash line, there is an even set of long lashes all across the band, meaning that there are thick lashes at either end where on my natural lashes are much more sparse. This meant that the lashes have nothing to hold and look unnatural. The lash band is simply too long for my eyes. 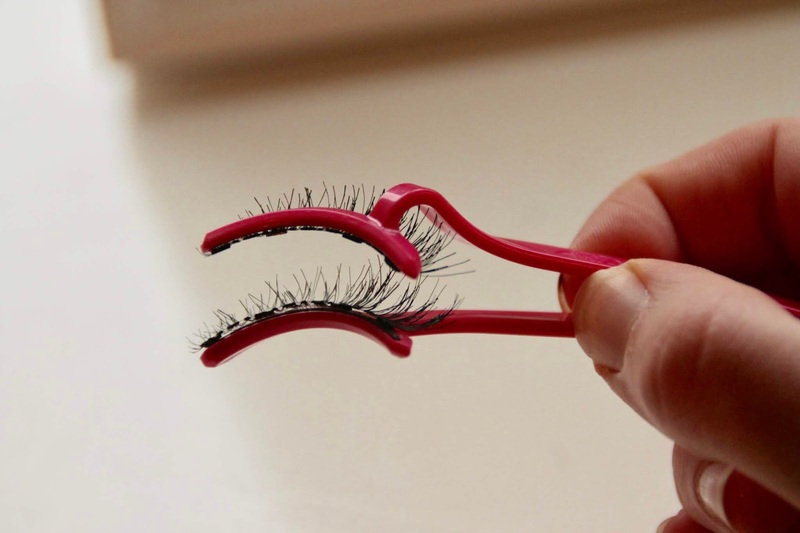 With traditional lashes I would just trim these, however, in doing this with the magnetic lashes you sacrifice the lashes and the ability to stay put on your lashes and the look of the lashes overall. I’m pleased to have been able to try this lash alternative out, however, I will definitely be sticking with lashes & glue in the future. We’ve all heard the cliché resolutions; lose weight, go to the gym, drink less etc… but I’ve tried to break my goals for 2019 down into more manageable and measurable chunks this year in hope that I can at least achieve some of them and feel fulfilled with my year. If not, there's always next year! Running: At the end of last year I started to slack on my running routine - mostly due to the fact it was dark when I got home and that I was doing weight based workouts at the gym instead. This year I want to refocus my time to allow running (outside of the gym) to become a more regular occurrence, even if its just once a week. Distance wise, I would love to be able to run 4 miles (Aspiration: 10km)without stopping and running the parkrun as often as I can (I did my first recently and hope to do 10 before I move back home in July) will hopefully help make running at least 5km more comfortable. Walking: Since I started my office-based placement, my daily steps have been averaging at around 7,300 per day. I would love to be able to walk 10,000 steps a day as the nights stay lighter and get back into the routine of going for a half hour walk before work to get my day off to a good start. efforts. The Gym: Back at the start of September (after running in the dark alone became a no-no), I joined PureGym in hope that I could continue running but on the treadmill instead. In actuality, I hardly use the treadmill while at the gym but, instead, found myself braving the gym equipment, cable machines and most recently, braving some of the classes by myself. Having never joined a gym previously, I found it surprisingly easy to slot 2-3 sessions per week into my working routine. Now 5 months in, I would love to set myself some targets, such as being able to leg press 62 kg and do more classes at the gym - at least one a fortnight. These weights may seem unattainable / easy for some people but in general I would just love to be able to up my weights sustainably and overall improve my fitness. Diet: When I got on the scales recently I realised that, despite being more active, that I’ve managed to gain a stone in 6 months. I’m not one to get hung up on the numbers on a scale, but if I am truly honest with myself, I need to become more conscious of the foods I'm eating, cut down on the office impulse foods (think donuts, cookies, samosas you name it) and trying to realign the meals I eat to feature more vegetables and smaller portions. I hope that proper meal planning, trying new foods and experimenting with different recipes will be able to assist with this. Drink: I’m quite good at this already, but since getting my new water bottle for Christmas, I am looking to up my water intake to 2 litres a day to help me snack less and improve my skin. 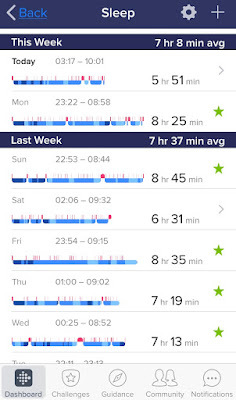 Sleep: For the last year of using my FitBit, I've obsessively checked my daily sleep. This year I want to continue to sustain a regular sleeping schedule while at work and once i’m back to uni in September to allow me to feel as well rested and productive as I can be. Live in the present: I set myself this resolution last year and really want to reset my bad habits. I’m guilty of sitting among people scrolling endlessly through social media feeds when I could be engaging in conversation with the people around me. It’s easily done when the people around you are also scrolling on their phones but I really would like to take in what is happening around me, without living everything through a lens or missing it while being on my phone. Perfectly acceptable if I’m alone, but if i”m with others, my phone should be firmly out of site. Save: Since starting my placement I’ve got into the habit of transferring money away into my savings account and was able to save a good chunk aware. This year I would like to continue doing this until I finish my placement in July and if I’m able to secure a part time job, put away at least 1/3 of my wages when I’m back at uni towards my house deposit fund and for my city breaks in the summer. Minimalise my Life: I’ve been watching a lot of minimalism channels on YouTube lately and they’ve really inspired me to streamline the belongings in my life along with simplifying the day to day. 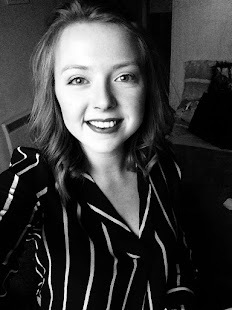 I’ve recently downsized my wardrobe and make-up collection and am in the process of cutting down some of my 94.77GB of photos on my laptop that have got out of hand. In 2019 I want to be more intentional with how I spend my time and money and free my life of the items that, in the words of Marie Kondo, do not ‘spark joy’ and do not add value to my life. I hope to continue my one in one out policy with my beauty and make-up stash and continue to regularly switch up my makeup bag in order to make the most out of my make-up collection. Utilise my Commute: My placement involves a 50 mile round trip to and from work which means 2 hours of driving every day, 10 hours a week and far too many in a year. 6 months into my drive and I can’t help but feel like I’m wasting valuable learning time. For the remaining 6 months of my placement I hope to better utilise the free time I have to listen to educational podcasts and broaden my knowledge. I’m also tempted by the idea of getting an audible account so that I can listen to books while on my drive. Visit 3 New Places: Last year I set myself a goal of visiting 3 new places and I would love to do this again this year. I’m hoping Budapest, Bath and the Lake District can be among these. So those are my resolutions/goals for the year. 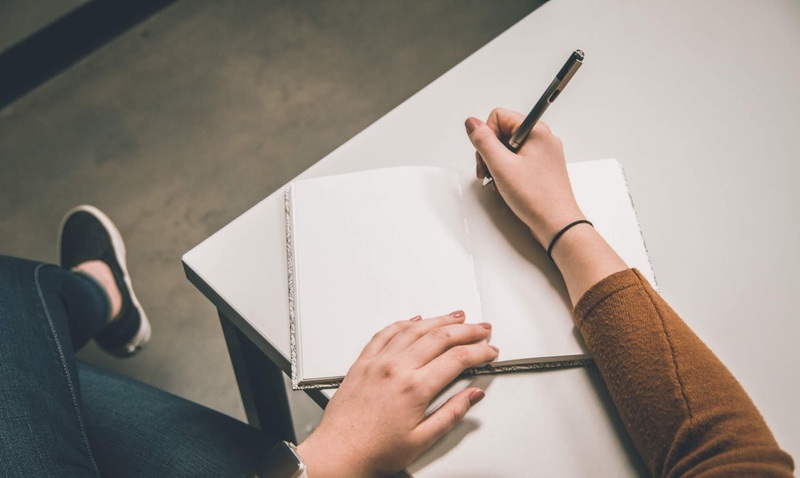 What goals have you set yourself for 2019? Previous New Year Goals: (2018 Resolutions and 2017 Resolutions). At the start of last year, I put my birthday/Christmas money to good use and invested in a black Fitbit blaze after getting FOMO (three of my cousins and sister had owned a Fitbit charge 2 for a while). In my opinion, buying a Fitbit was the best investment of 2018 and I don’t think a day went by where I wasn’t wearing my Fitbit which, for someone who never wore a watch/ jewellery was a big shock. 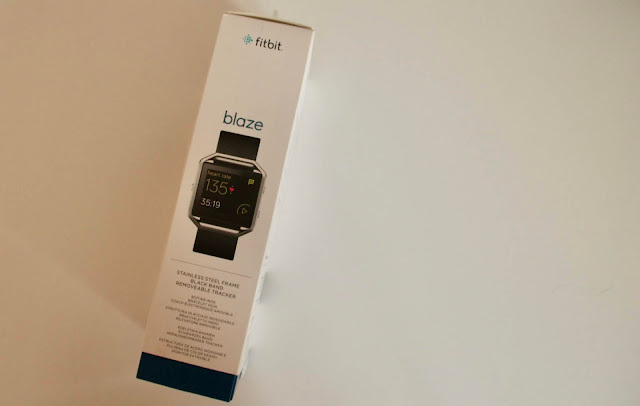 I bought my Fitbit Blaze with the black and silver strap, but you can also buy the blaze with a gunmetal or plum strap. Alternatively, you can also by replacement straps (some official, other dupes) if you fancied switching it up. The size of the tracker isn’t dissimilar to the size of the Apple watch as far as I am aware and is the right size to be easy to view and use but not too big on your wrist. 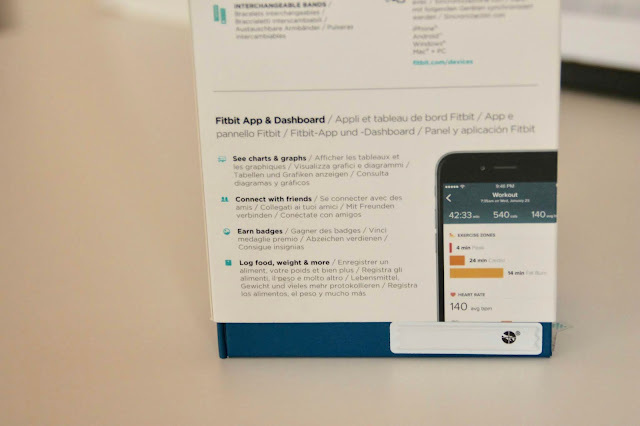 The Fitbit box has everything you need; your fitness tracker, strap, instruction manual and USB charging case that you pop the tracker out of the strap to charge. The blaze charges fairly quickly and I find that it is usually 4-5 days before I have to recharge. The Fitbit Blaze has many cool features. 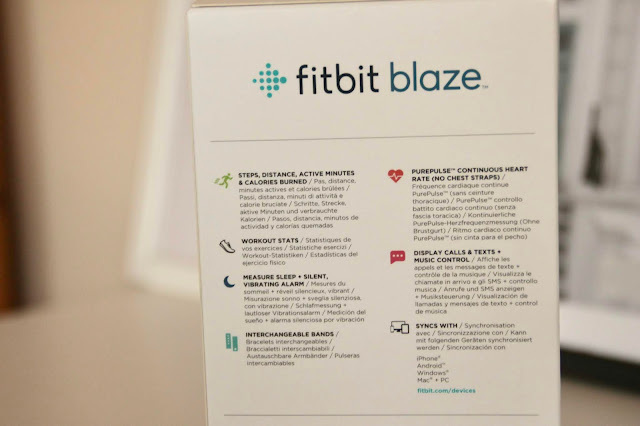 There are three buttons on the Fitbit Blaze, allowing you to stop and start workouts, flicking through the menu and navigate through the tracker. Much like the Apple Watch, the blaze allows you to get call, calendar and text alerts through the tracker. This has been a godsend as, if my phone is on silent and at the far end of the room, it’ll vibrate to notify you. 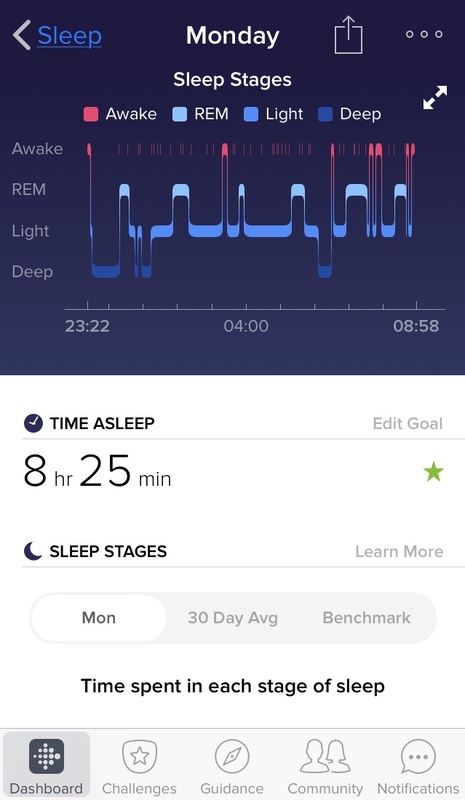 The watch will also nudge you at ten to the hour to ensure you have walked 250 steps in an hour - I love using this whilst at work to prevent me from sitting too long at my desk. 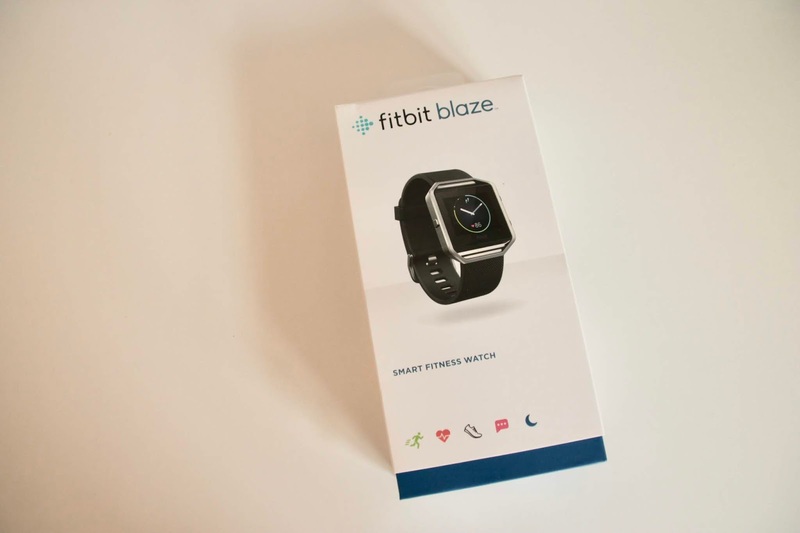 The Fitbit Blaze has a Fitstar function with the option to follow a 8 minute warm up, 7 minute workout and 10 minute ab workout. There is also a relax app that has the option of a 2 or 5 minute session for relaxation. I'll be honest, I hardly ever use these apps but they are a cool addition. Day to day, aside from the obvious logging how many steps I do and telling the time, I use the tracker mostly for the silent alarms (much nicer than my iPhone alarm! ), countdown timer (great when cooking) and for logging my gym workouts. 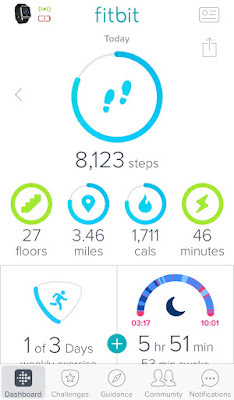 If I’m going for a walk, the great thing about the Fitbit is that it will recognise it automatically and store the details automatically into the app - or if you want to monitor your distance as you go, you can log it manually. On the blaze, there are multiple options to select when logging a workout, such as a walk, run or even just a general ‘workout’ setting. 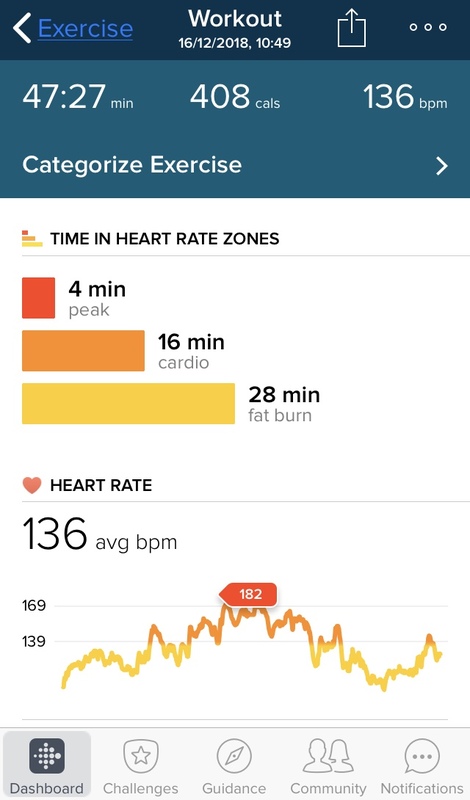 When selecting the workout option on your Fitbit, you can track your distance (if running), heart rate, duration and calories during the workout. 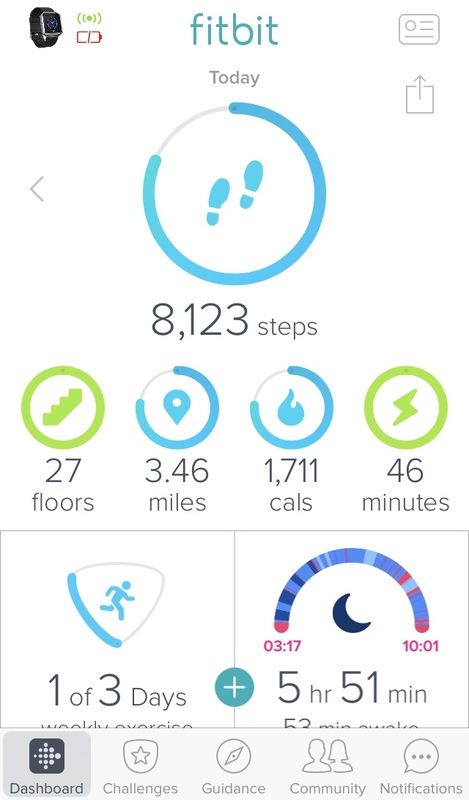 The Fitbit app is amazing and is really simple to use. The app allows you to monitor steps, heart rate, sleep, workouts, calories burned, weight loss and more. You can even monitor your monthly cycle and fertility windows if you so wish. 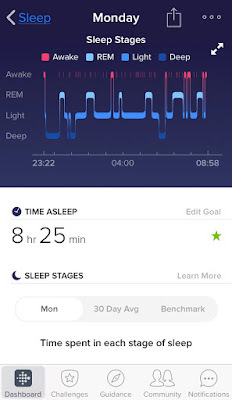 The app is able to drill down your workouts into heart rate zones (peak, fat burn and cardio) and sleep can be broken down into deep sleep, REM and light sleep. I cannot recommend getting a Fitbit enough. It does everything I want from a fitness tracker and I really think that it helped me to get fit last year (and for 2019) and become more self-aware of how active I am day to day. I have also gained an unhealthy obsession with monitoring my sleep and aiming to get at least 7 hours each day. My Fitbit hasn’t left my wrist since I bought it last January - I’ll rave on and on about this until the cows come home. 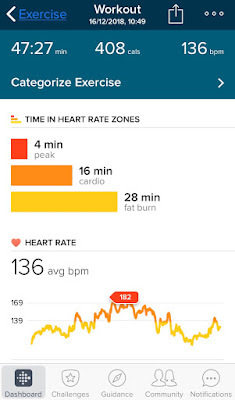 Have you tried a fitness tracker? I want to take this opportunity to wish you all a belated Merry Christmas and best wishes for the New Year. During the crimbo limbo I have been battling with a cold that arrived bang on time for the pigs-in-blankets being served at the dinner table. It's been a great Christmas break so far - I’ve been fortunate enough to have taken time off work from the 21st December up until the 3rd January, so have been making the most of the spare time I have to finish the year with dedication to my otherwise neglected blog. 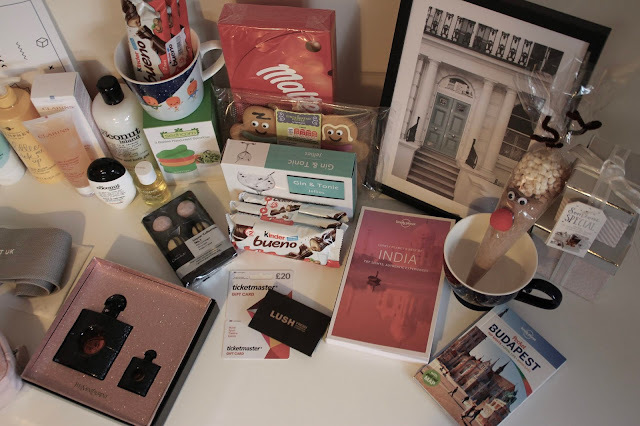 Seeing as I have been posted similar blogposts to this over the years, and that I frequently look back on previous years posts for gift inspiration, that I would share with you the gifts I have very kindly received from friends and family for my 22nd Birthday and Christmas this year. 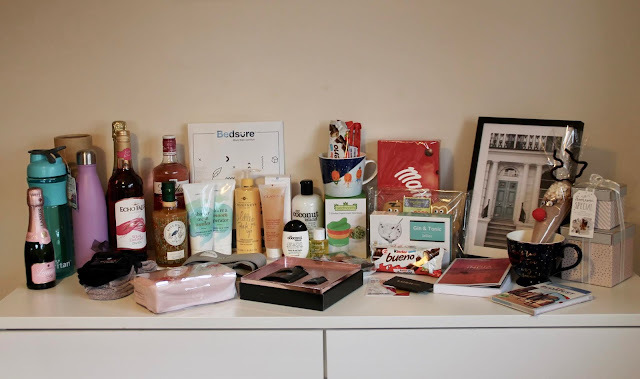 Having a birthday three days before Christmas lends itself to some joint gifts, so my lovely boyfriend has gifted me a spa day for us both to enjoy in the new year alongside some travel guides for the destinations that are on our to-visit lists. I’ve also, already, got so much use out of my new grey blanket that doubles as a throw for my bed. I don’t know what impression I give to friends and family, but I was fortunate to receive prosecco, gin, wine and a passion fruit gin liquor to stock me well for the new year. 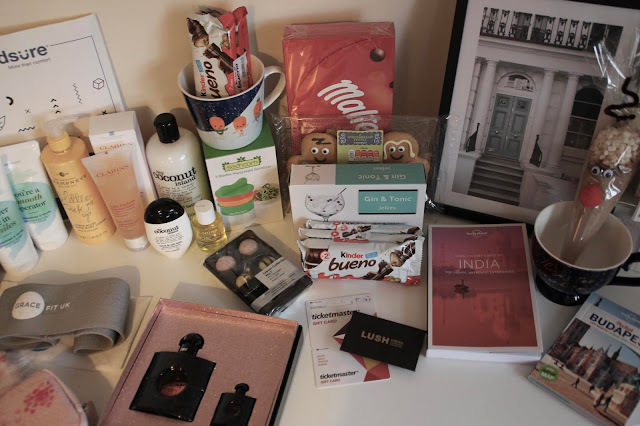 I was also treated to a range of ‘smellies’, perfume, satin pillowcases, desenio print, a grace fit resistance band and a back up of my favourite Clarins cleanser. My love of food and drink was also evident in the gifts I received, namely in the form of Maltesers, Kinder Buenos and gingerbread. My new mugs and chilly’s water bottle will ensure I’m hydrated in 2019. Those eager-eyed of you may have spotted the most random gift I’d asked for this year - my spiralizer! I can’t wait to experiment with new recipes in 2019. So that's all for my 22nd Birthday and Christmas Haul. 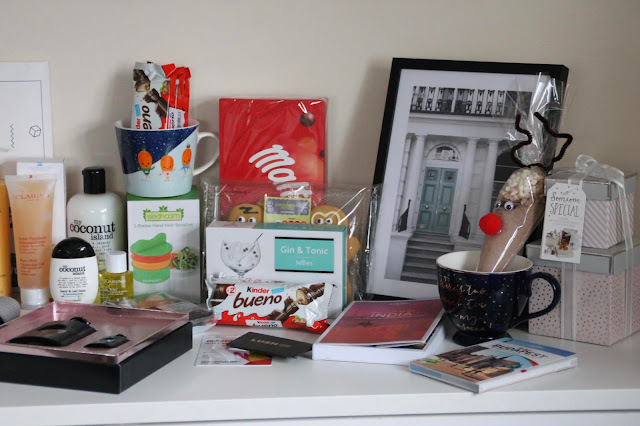 I am incredibly grateful and humbled by the generosity of my friends and family, and am overwhelmed by how well the people closest to me know me. I am already eying up what I can buy with my LUSH & Ticketmaster vouchers. 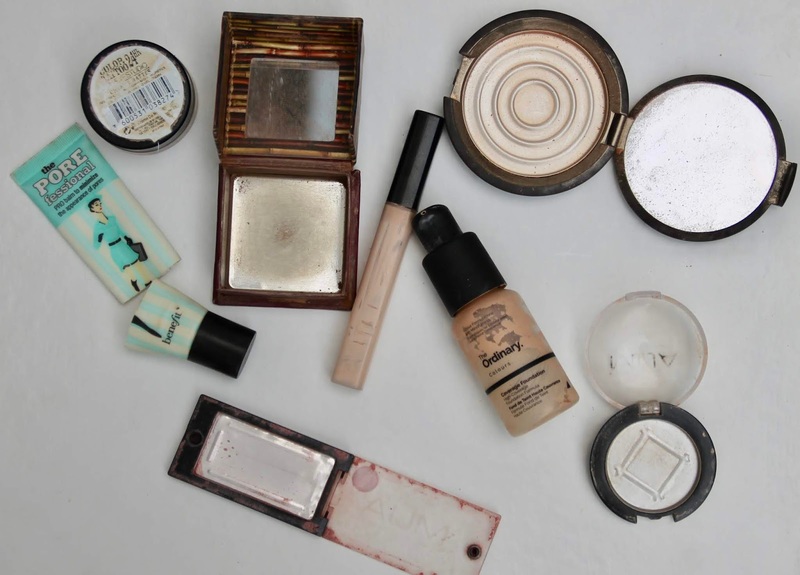 For a couple of years now (see posts on my Project Pan here and here), I’ve been making a conscious effort to use up the items in my collection before adding to it, only repurchasing an item such as a foundation if I had nothing left to replace it. So, when, at the end of last year I came across a post on Cosmo where Laura came to the realisation that she had managed to use up over £1000 worth of makeup, I was keen to know the value of my makeup empties from 2018. To do so, I have kept tabs on the makeup products that I have managed to use up to see how much makeup I really use up in a year. 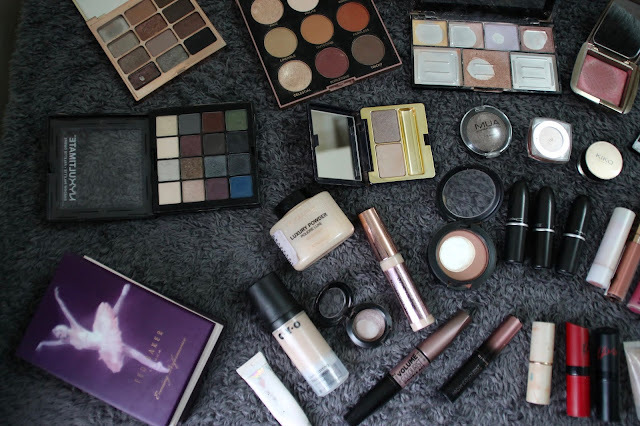 If you find yourself with an extensive makeup collection that you feel guilty for not getting fair usage of, this is a really interesting exercise to see how well we are using up the makeup we spend our hard earned cash on. I’m fortunate that I am sent many makeup products to review (marked with an *), but a large majority of the makeup I own and use has come from years of collecting (and hoarding). With such, I have had the realisation that despite hoarding these in my collection for years, that using these items before they expire will be near-impossible and that I will need to let some items go before adding new items into the mix. I wear foundation almost everyday, and certainly every time I wear makeup, so I wasn’t shocked to discover that I’d used up 6 foundations this year - so thats a foundation every 2 months! I tend to gravitate towards drugstore/ high-street foundations, my favourite being the CYO Long Lasting Foundation. 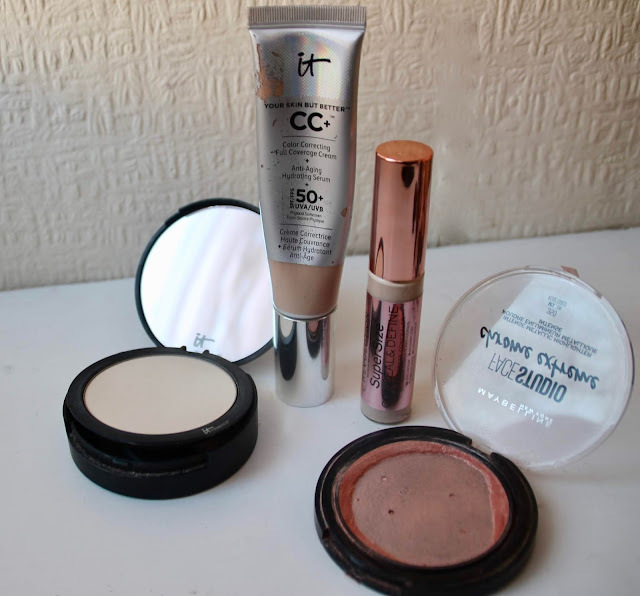 IT Cosmetics, although considerably more ££ than my alternatives this year, worked great in the autumn months when my skin requires added moisture. I like to experiment when it comes to concealer, but I found myself repurchasing Revolutions Conceal & Define concealer in the larger size once I’d finished up the smaller size. I usually find myself just reaching for the cheapest powder I see, and for the Primark Setting Powder, I was thoroughly impressed. The IT Cosmetics translucent powder, on the other hand, I was disappointed with for how quickly I managed to finish it and how much I needed to apply for each use. Primer is one of those items that I don't mind skipping from my routine day-to-day so it doesn't surprise me that I've only used one this year. Although I reach for bronzer every time I wear makeup, it is one of those items that seems to last a lifetime within my collection, in this case 2 years. 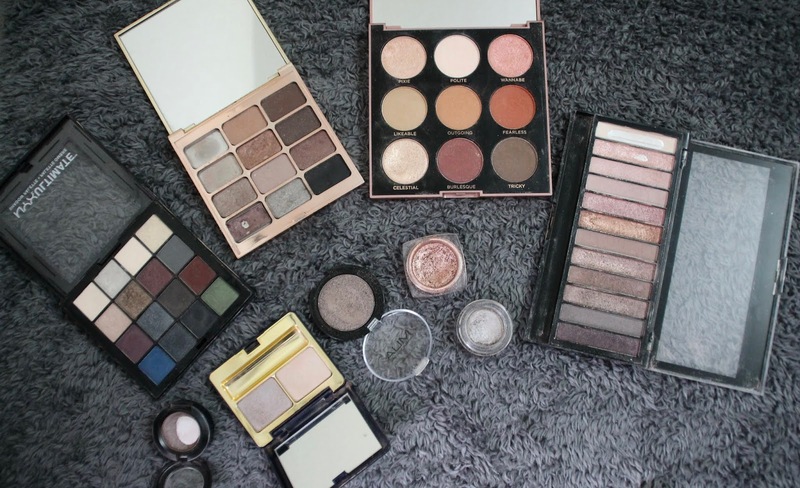 Eyeshadow is one of those items that I'll reach for everyday but struggle to use up a full pan of. Maybelline Colour Tattoo worked great as an alternative to Mac's paint pots for helping eyeshadow to last all day. I'll admit, I was unimpressed by Becca Champagne Pop compared with my Mac and Maybelline alternatives, but as a lover of highlighter for both eyeshadow and on my cheeks, I'm not surprised that I've managed to use up 3 this year. So 2018 I managed to use up 19 items, £250.38 worth, of makeup which consists of 1 primer, 6 foundations, 3 concealers, 2 powders, 2 eyeshadows, 3 highlighters, 1 blusher and 1 mascara. Much against my best efforts, has hardly made a dent in my collection. I tried my best to use up a lipstick this year, but didn’t succeed, which opened my eyes. As I tend to have the most lipsticks out of all makeup in my collection, I have since gone through and tried to purge this to include only shades I reach for frequently. This project has definitely helped me to become more self aware of how much makeup I can physically use in a year. As a result of this experiment, I’ve had to be ruthless with myself and have purged a couple of items that I know are long past their expiry date but I’ve been too sentimental about to part with in the past. 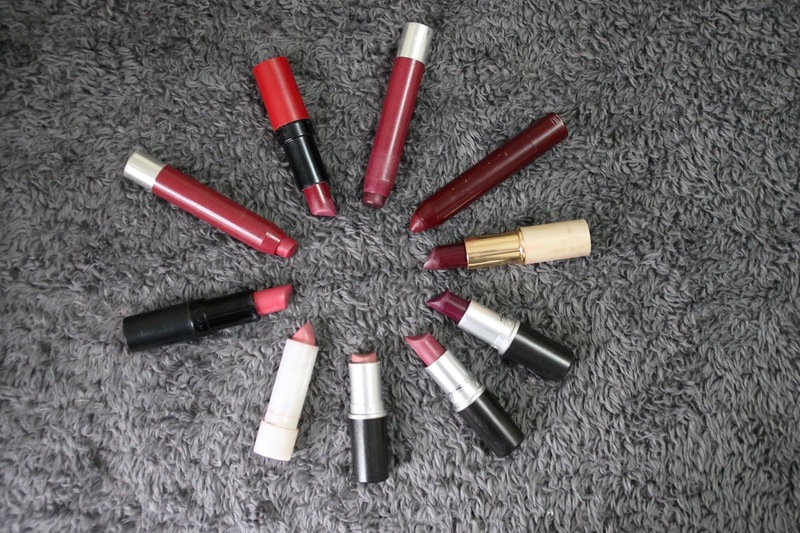 I’m definitely going to be more mindful of what items I am using within my collection, and will look to repeat this challenge next year to use up at least one lipstick and eyeshadow as these are the items that dominate my makeup collection. How much makeup have you used up in 2018?